Jurgen Klopp admitted he should not have thrown a water bottle when Liverpool salvaged a 3-3 Premier League draw at Arsenal. The Reds boss slammed a water bottle into the ground when Roberto Firmino levelled, in a match where the visitors had earlier squandered a 2-0 lead. Alexis Sanchez, Granit Xhaka and Mesut Ozil all struck for Arsenal in five second-half minutes to turn the tie, after Philippe Coutinho and Mohamed Salah had earlier put Liverpool in control. "I react sometimes in a bit of a strange way," said Klopp, of his reaction to Firmino's goal. "I apologised to the people around me straight away. "I threw a bottle on the ground. Nothing serious happened, but still it wasn't good. "I was not happy in that moment, but I really thought that was at least the minimum of what we deserved. "We of course deserved to win, we had more chances. "But to lose three goals in five minutes, it's an obvious problem. "The result is not what we wanted. And the five minutes were very decisive tonight." Goalkeeper Simon Mignolet was at fault for Xhaka's goal, flapping at a shot he ought to have saved comfortably. 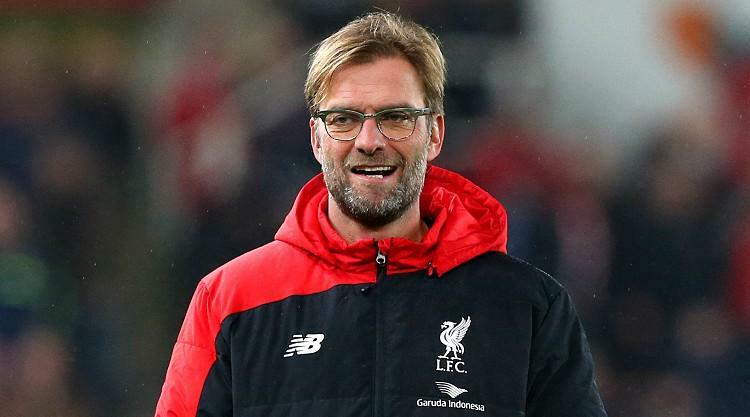 Klopp remained phlegmatic about the mistake, insisting Liverpool should still have secured victory. "Simon Mignolet saves these balls 99.9 per cent of his full career, but not tonight," said Klopp. "Those five minutes can be enough to learn from. We have to learn from this. We should have scored another goal. "That's a big compliment for us coming here, creating these kinds of chances, that's not easy as well. "If there were to be a winner tonight, it should have been Liverpool." Arsenal boss Arsene Wenger confirmed Nacho Monreal sustained an ankle problem before praising Jack Wilshere, admitting the midfielder may be nearing a new contract with the Gunners. "For Monreal, it's an ankle problem," said Wenger. Asked if Wilshere's new deal may be completed in the next few weeks, Wenger replied: "It might, we'll see. "I think we had four players tonight who had graduated from our academy. Basically we want to keep these players. "He's better now than he was in the last two to three years, it's positive overall, he's in good shape at the moment."